I originally thought Tbilisi real estate was a bad investment, but the past four years have changed my mind. Four years ago, I was sitting at a cafe after meeting an attorney. Over the next four years, this attorney would become one of the best in my network as well as a good friend. What I didn’t know at the time was that she was one of the only killers in a country where people are remarkably nice and friendly. Even “killers” like the real estate developers and lawyers that I’ve worked with have dropped everything to come to help me. For that reason, I wouldn’t necessarily call them “killers” – even though they’re great at what they do. To be honest, the connections I’ve made in Georgia – my attorney, my real estate agent, and my friends – have been a large part of the reason why I changed my mind about Georgia real estate. Before I had found the right properties, I was convinced that Georgia real estate was a terrible investment. Prior to that meeting four years ago, I had written off Georgia real estate as a bad investment. I had some difficulty navigating Georgia’s real estate market myself, and I was absolutely convinced that investing in a business in Georgia was a much better decision. However, I’ve changed my mind over the past four years. I ultimately bought nearly a dozen properties in Georgia, and I even have a home there. Now, I recommend investing in Georgia real estate to just about anyone. When I originally wrote about Tbilisi real estate four years ago, I thought it was a bad investment. However, in those four years, I’ve obviously changed my mind. I’ve now bought close to a dozen different properties in Georgia from agricultural land to various homes and apartments. 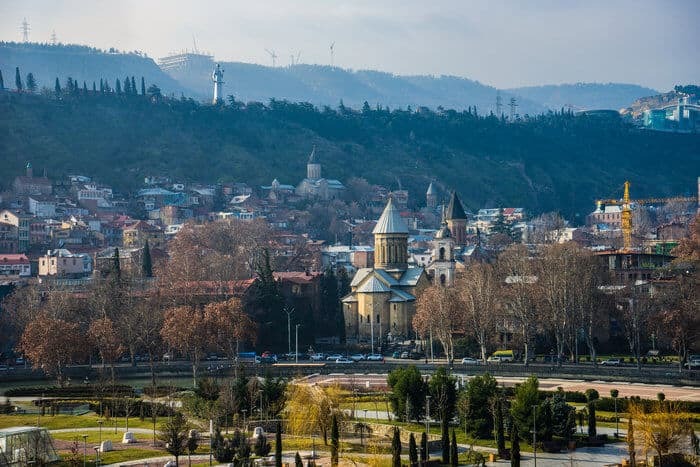 In fact, one of the homes that I bought became my home base in Tbilisi’s Vera neighborhood, and I have other projects that are poised to triple in value over the next couple of years. I’ve even started helping other people buy real estate in Georgia, and some of them are getting 14-15% yields on their investments. So, what changed between when I first wrote this article four years ago and now? First, I firmly believed that business investments – like property management companies – were more worthwhile than real estate at the time. Starting a business in Georgia can be a profitable endeavor, but you’ll need time and patience to be successful. There were – and still are – plenty of business opportunities in Georgia. I have a friend from the UK who came to Georgia and started a successful Airbnb company, and people I’ve sent to work with him are earning major returns on their investments. However, I quickly found out that starting a business in Georgia is more difficult than it seems. 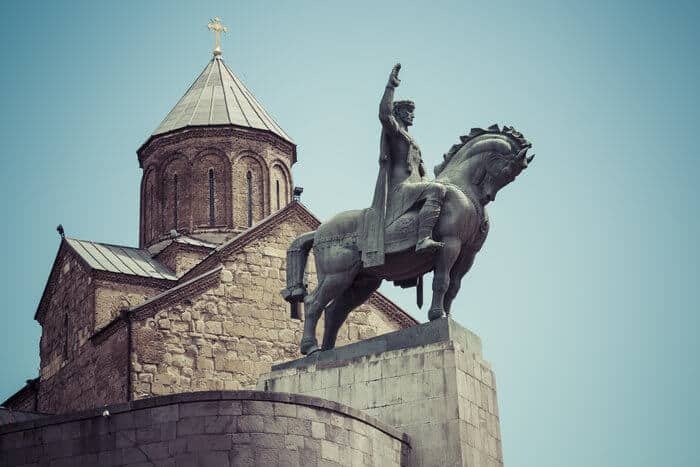 Although adapting to Georgian culture is easy for the most part, adapting to the country’s business culture is another story. It’s a different way of working and a different way of dealing with employees that most western businesspersons aren’t used to. So, while starting a business in Georgia can certainly be profitable, it requires a lot of patience – and you won’t be able to do it well remotely. On the other hand, investing in Georgia real estate is relatively easy once you know the right people. 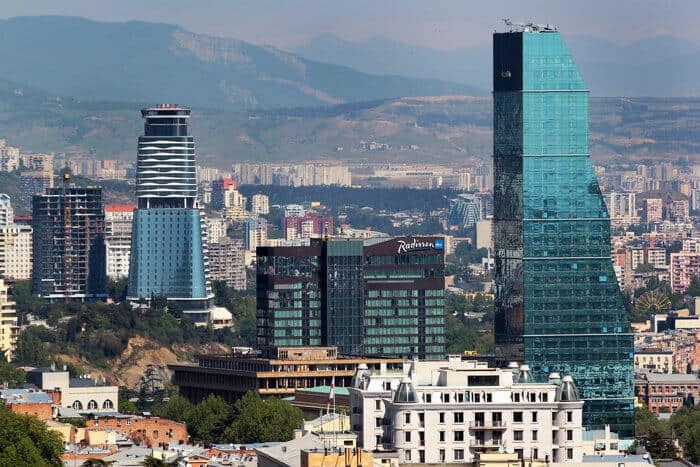 However, even when I started to make connections in the Tbilisi real estate world, I wasn’t too excited about Georgia real estate. I didn’t see the same potential in Tbilisi real estate that I did in a place like Cambodia. I couldn’t find fix-and-flips for $50,000 here as I could in Southeast Asia. I had little luck finding good properties at that point as well. Many of the inexpensive old buildings that I found were a developer’s nightmare. The wiring often looked like it could catch fire at any moment, and features like communal kitchens aren’t exactly what someone buying a rehabbed property wants. I eventually did find properties that excited me – it just took a lot of digging (and a good real estate agent) to get there. I was also concerned with domestic demand in Georgia. Georgia is a small country – in fact, it’s less than half of the size of the US state of Georgia. On one hand, this means that even Russia isn’t very interested in Georgia. For the most part, it flies under the geopolitical radar and stays out of global conflicts. Thanks to its embrace of the free market, Georgia is a rapidly developing country. However, since it is a small country, it doesn’t appear to be the most lucrative market at first glance. Fortunately, I’ve found that my concerns were unfounded. 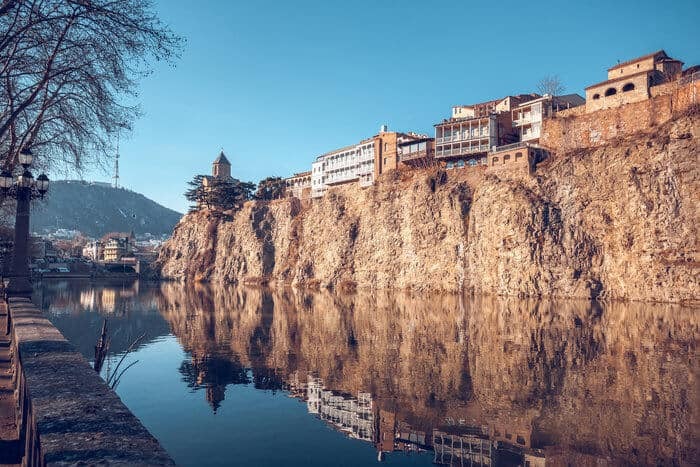 Georgia is rapidly developing, and since Tbilisi is one of the safest cities for expats in the world, it’s garnered the interest of foreign investors, which has made the Tbilisi real estate market more competitive. 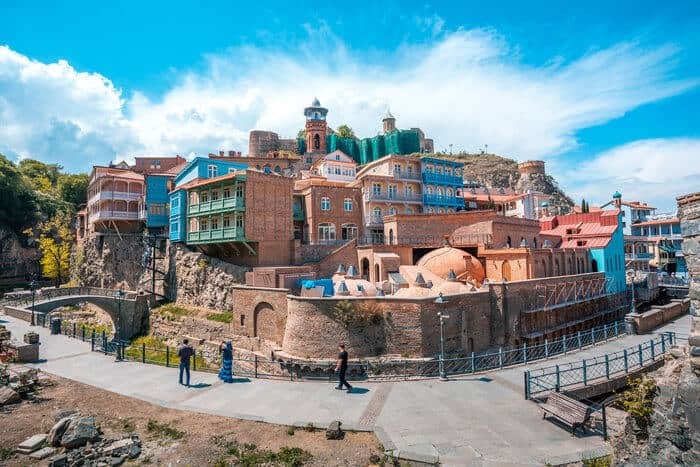 The final reason why I initially wrote off investing in Tbilisi real estate was that there was another alternative that looked more appealing – Istanbul. Back when I wrote my first article on Georgia real estate, I thought that investing in Turkish real estate was a better option. At the time, Istanbul had become a hub for Arabs seeking a neutral, Muslim safe haven in the Middle East, and property in the city was just a hair more expensive than in the Tbilisi real estate market. Boy, was I wrong about that one. Thanks to political instability in the region, people have been fleeing the country. It even started a citizenship by investment program out of desperation to attract investors. Georgia, then, is one of the few emerging real estate markets in the region that isn’t plagued by geopolitical instability, which makes it a much better choice than it was four years ago. After I learned more about the markets and made important contacts, investing in Tbilisi real estate became much easier. However, what really changed my mind about Georgia real estate is that I learned how to make it work. 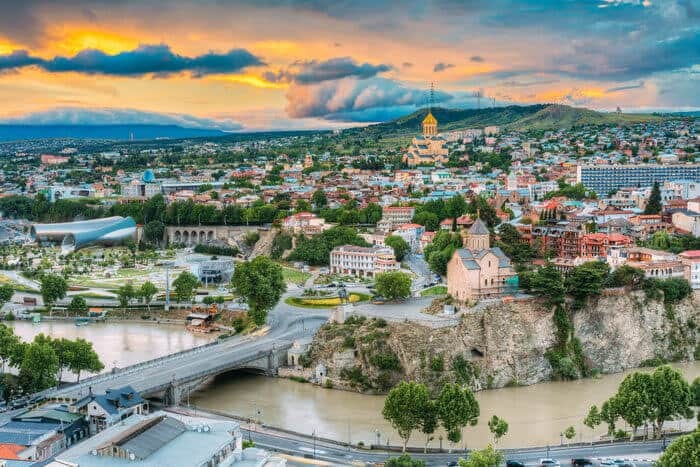 By simply digging in and spending more time there, I made connections, and I learned how to navigate the Georgia and Tbilisi real estate markets. 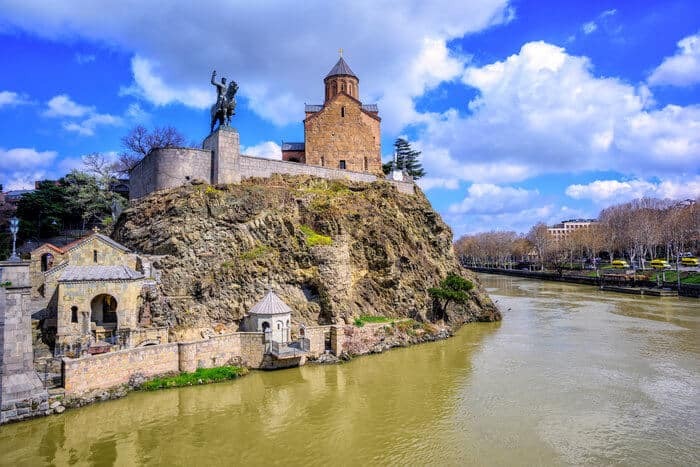 While I’ve published a more comprehensive guide to buying Georgia real estate, I’d like to share a few things that I would have liked to know before diving into the Tbilisi real estate market. Unlike many other emerging markets, buying Georgia real estate doesn’t involve a lot of haggling. In fact, many Georgians won’t budge beyond a few thousand dollars. Like most of Eastern Europe, people in Georgia will only sell their house once in their lifetimes, so they want to get the most value out of it. You won’t need to be a master negotiator to find good real estate prices in Georgia. Selling a house is a major, once-in-a-lifetime decision for most Georgians, and it’s not uncommon for the entire extended family to review a contract. 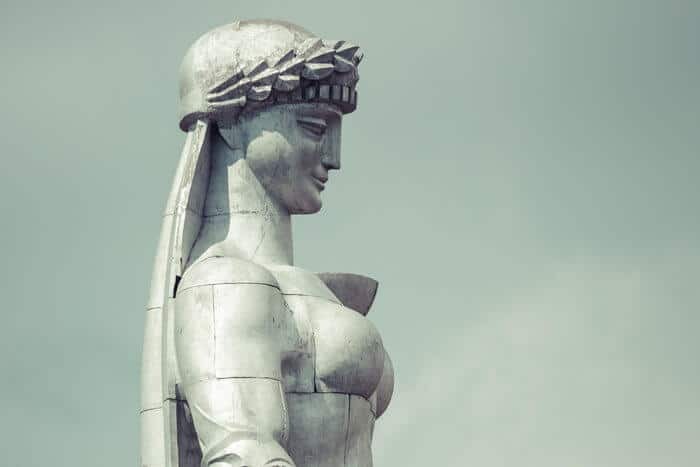 Your negotiation skills ultimately won’t get you far in Georgia, but on the upside, I’ve found that most Georgians are quite honest when it comes to pricing – even in the more competitive Tbilisi real estate market. Another interesting aspect of the real estate market in Georgia is that nearly all transactions are made in cash. I’ve taken over $30,000 with me to Tbilisi just to close deals in cash. You’ll also need to take the money with you if you want to avoid paying extra. Sellers will likely ask you to pay their hefty withdrawal fees since they seem to prefer to keep their money in US dollars. While this isn’t the most convenient way of doing business, it’s the way things are done in Georgia. If you buy Georgia real estate, be prepared to make deals in person – and in cash. One of the challenges of buying real estate in Georgia is that you need to look hard to find good properties. Naturally, when I first started searching for Tbilisi real estate, I looked online on a popular site called place.ge. On the site, I found 20 listings that I was interested in and called them. Of those 20 listings, 18 of them were already sold, and the owner of one of the properties refused to even speak to us. That’s a 95% failure rate. Unlike most places in the world, you won’t have much luck finding good real estate buys online in Georgia. Property owners frequently don’t update their listings – I’ve even found a property that I purchased listed for sale by the original owner on one of these sites. Most of Georgia also uses Facebook near-exclusively. Nobody uses Google in Georgia, so you’ll need to wade through Facebook posts in Georgian to make it through the internet there. 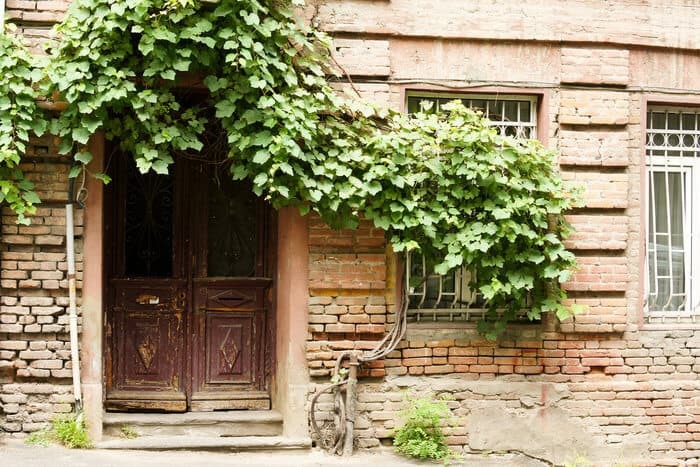 You’ll likely need some outside help to conduct your Tbilisi real estate search, but we’ll get to that later. As in most developing countries, foreigners – and especially westerners – are treated a bit differently from locals. While you won’t be paying a “tourist tax” at every corner like in Southeast Asia, some people might try to take advantage of the fact that you’re a foreigner. You may face some challenges as a foreigner in the Georgia real estate market. One time, I had a seller try to double the price of his property on me overnight. I found a great commercial property near the main metro station for just $50,000 dollars for 100 meters. While I didn’t necessarily need it, it’s hard to turn down city center property for $500 per square meter. However, when I went to look at it the next day, the price doubled to $100,000 since we were foreigners. So, if you do decide to invest in Georgia real estate, you’ll need to have a local contact to work with property owners and avoid the foreigner upcharge. In order to find quality properties and avoid some of the pitfalls that come with buying real estate in Georgia, you’ll need to find a makler. A makler is a Georgian real estate agent, and there are very – very – few good ones. Since there’s little demand for them, many maklers are quite terrible, and the market’s become somewhat niche. Fortunately, the number of maklers available is growing. A lot of Arab investors are coming into Georgia since Turkey has started to fall apart. The new Biltmore Hotel was even built with money from the UAE. Chinese investors have also started to come in, further raising the demand for good maklers. However, since the market is so dominated by Arab investors, many maklers focus specifically on those clients. They speak Arabic, and they may not focus on the kinds of properties that you actually want to buy. So, you’ll need to develop some inside connections to find a good makler. A good real estate agent – or makler – is essential to your success in the Georgia real estate market. However, finding one is quite difficult. When I bought my first property in Georgia, the makler was frequently late, and half of the properties she had arranged were canceled. Luckily, my attorney was able to introduce me to a great one. She has a steady flow of excellent properties at reasonable prices, and I’m always at the top of her list when she finds a good one. That’s exactly the kind of makler you need. A good makler can help you manage sellers and keep things from getting out of hand. If you want to buy real estate in Georgia, then you need a makler to help you along the way. Georgia is all about relationships. Georgians don’t care much about money – they care about who you know. It’s a small country, and that’s how business works. First, you’ll need a solid network of people within the country to be successful in buying real estate there. I’ve had to build all kinds of contacts over the past four years – developers, renovators, maklers, and attorneys – and they help me manage the entire purchase and renovation process for every building that I buy. Without these important connections, the average person can’t just go and buy real estate in Georgia. If you invest in Tbilisi real estate, you’ll need your neighbors’ permission for certain renovations. However, the importance of relationships also extends into areas like making major renovations. In one of the first apartments that I bought in Tbilisi, I wanted to make a few renovations, and one of those renovations included moving an exterior door. However, I needed to have the neighbors’ permission to move it, and my next door neighbor just wouldn’t budge. She was an elderly Jewish lady who had lived in her apartment for decades, and she insisted that I leave the door where it was since the previous owners said to never move it. I even offered her $500 – which was a few months’ pension for her – and she still wouldn’t let me move it. Although that incident was frustrating, it taught me just how important relationships are in Georgia. For just about anything, you need to get permission from everyone – the neighbors included. You’ll likely need the seller to negotiate with the neighbors since they’re more likely to work with their old neighbor than a new person. 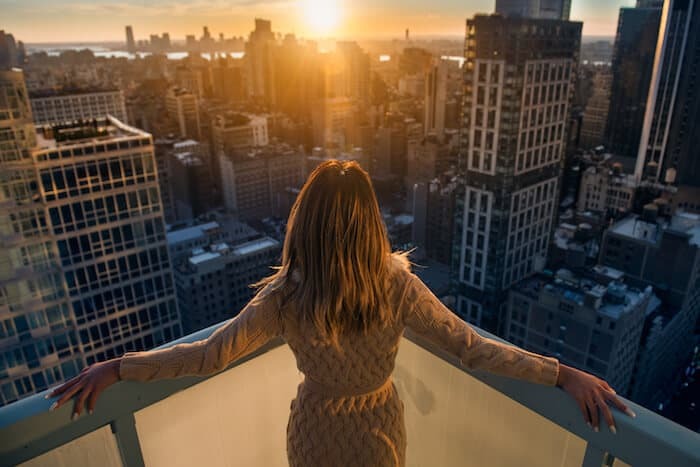 If you’re buying property somewhere that people have lived for decades, then be prepared to befriend the neighbors – whether you want to or not. You can find some great foreclosure properties in Georgia, but because Georgians put a premium on personal relationships, you have to be careful about how you go about buying them. If you build something on land that was taken by foreclosure, all of the neighbors tend to side with their former friend, and they often will harass you. 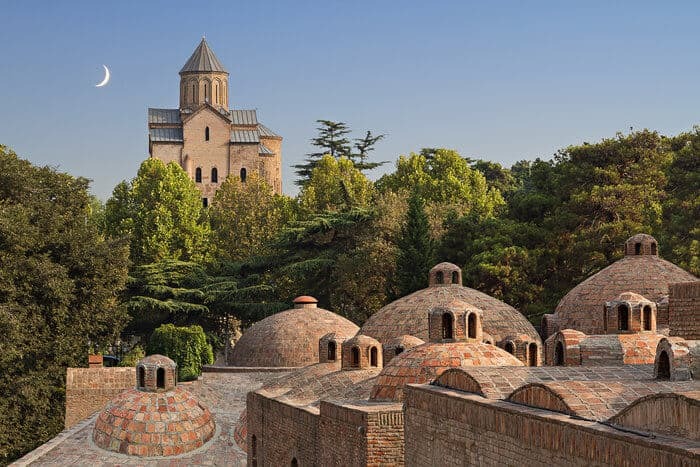 I once found an excellent property that was in the city center of Signagi – the capital of Georgia’s wine region. 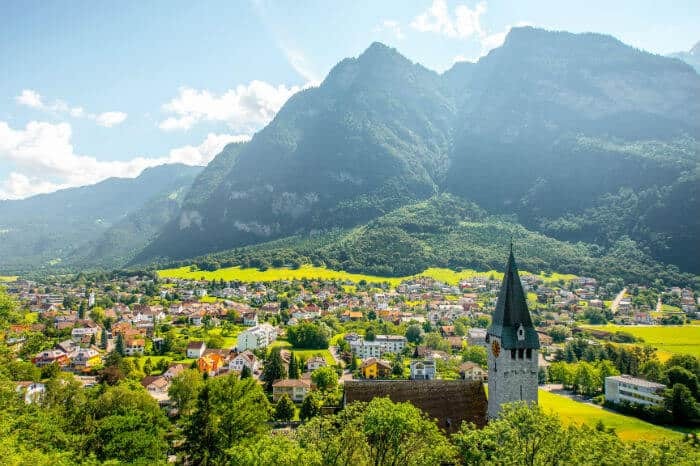 It was in a beautiful tourist area, and its central location made it the perfect spot for a nice little boutique hotel with a handful of rooms. And it was only $80,000. However, when I went to go look at the property, the person being foreclosed on wanted $150,000 – even though the bank said they would sell it to us for just $80,000. Naturally, we backed out of the deal. We realized that had we not paid the $150,000 to the owner, the neighbors would have harassed us and prevented us from developing the property. We basically would have had to bribe them to keep them from making our lives difficult. I have had some success with foreclosed properties. I recently bought a half-acre of land near Borjomi through a foreclosure. However, if want to buy foreclosed land, tread carefully. Although the Georgia real estate market can be difficult to navigate at times, it’s a great market to invest in. While you’ll surely encounter some challenges when investing in real estate in Georgia, investing in Georgia real estate is worth the trouble. Although the business culture in Georgia is quite different than in the west, there’s not much government red tape to hold you back. Georgia is one of the easiest countries to do business in the world. It’s one of the freest markets in the world, and its taxes are incredibly low. You can set up a company or a bank account in minutes. Owning property as a foreigner is equally as simple. Georgia doesn’t impose foreign ownership restrictions, and its bureaucracy is minimal. You don’t even need to pay much property tax, and stamp duties are nonexistent. At a time when Tbilisi is on the rise, its real estate is surprisingly cheap. 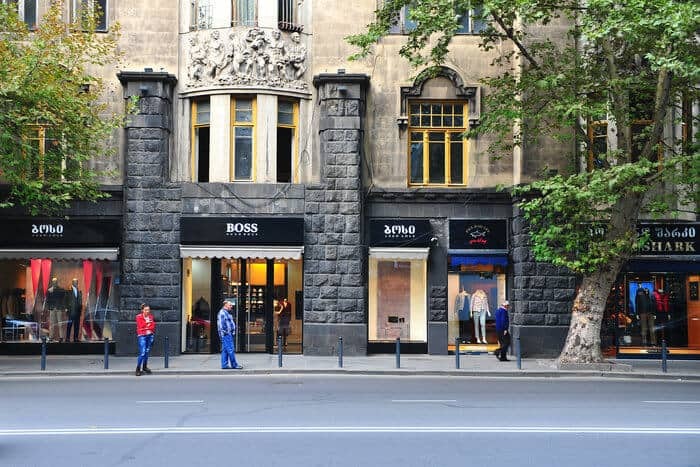 Tbilisi is one of five capital cities where you can buy city center real estate for under $1,000 per square meter. I once helped someone buy a 59 square meter apartment in the center of the city for just $54,000. The apartment was just 150 meters from the Rooms hotel, which – despite the fact that its standard of service is just a step above North Korea – has become the sexiest place to be in the city. Thankfully, its bar and restaurant are much nicer than the hotel itself. Tbilisi real estate is remarkably cheap by anyone’s standards. 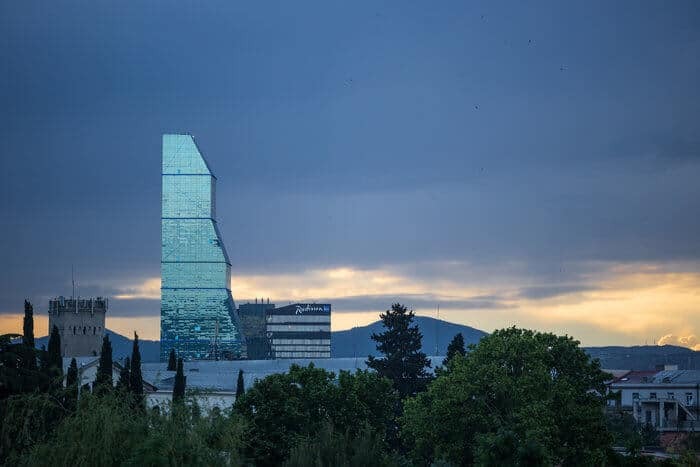 It was also just a stone’s throw away from the main metro station, placing it right in the heart of the most sought-after area in Tbilisi. While the apartment certainly needed some repair, could you imagine paying around $900 per square meter in the city center anywhere else? And if you think the city center is dirt cheap around $1,000 per square meter, take a look at other areas – where you can pay as low as $500 per meter for decent property. I did and fix and flip in an emerging part of town called Mtatsminda, and I paid only $512 per meter for the whole property, which cost around $22,000 total. And, it was just a short walk from the main street, Freedom Square, and the main metro station. While the property was in terrible shape when I bought it – I had to rip out just about everything – I eventually sold it for $750 per meter. I’ve also seen great properties in the city center for just $35,000 for 40 meters, and I bought my current home in Vera for just $1,100. If you want your money to go far, then you should consider Tbilisi real estate. While I wasn’t enamored with the Georgia real estate market at first, I found plenty of interesting opportunities when I dug deeper. 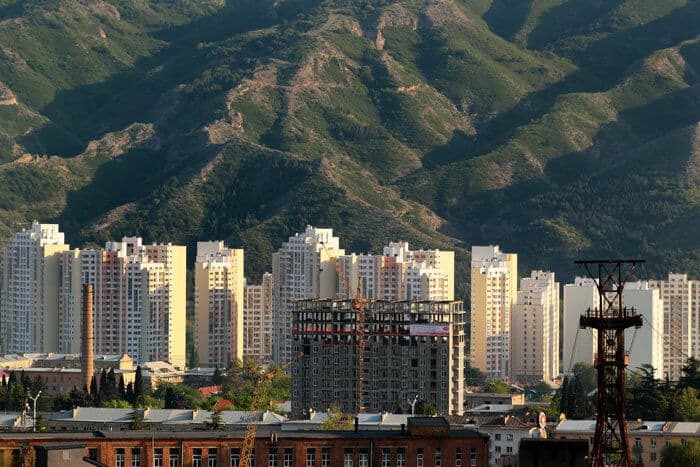 I recently bought a small plot of land outside of the resort town of Borjomi for just $1,200, and I’ve seen plenty of properties in the Tbilisi real estate market that can easily be turned into luxurious lofts or premium office space. 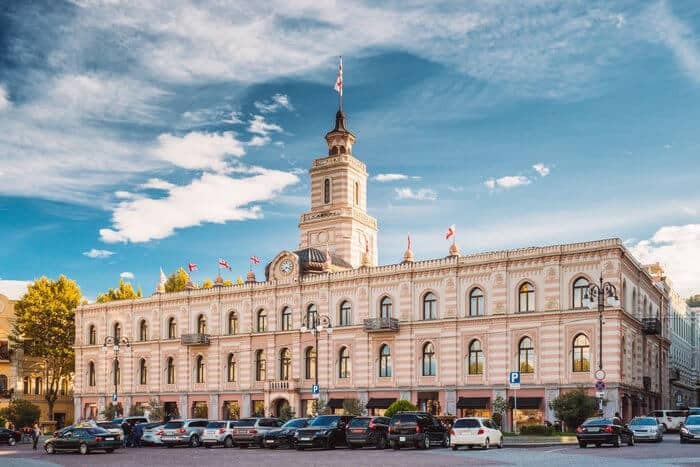 There are also plenty of newer buildings for sale outside of the city center and in tourist areas, which can help you avoid troubles with neighbors or former owners. You’ll certainly need to dig to find these opportunities – and you’ll need a good makler, too. However, the opportunities are there – and there are plenty of them. There are plenty of opportunities in the Georgia real estate market, but you’ll need to know the right people to find them. If you want to buy real estate in Georgia, you’ll need to have contacts who know what they’re doing. Over the past four years, I’ve bought and sold nearly a dozen properties in Georgia. During that time, I’ve made plenty of contacts – attorneys, maklers, developers, and others – who help me manage my investments and make new ones. With my personal experience and network of expertise, I can help you make your first investment in Georgia real estate. If you’re interested in Georgia real estate, click here to enter your information and find out a bit more about what I have to offer. Very informative and as it seems to me reliable information given here. Thank you Carl, glad you like it!